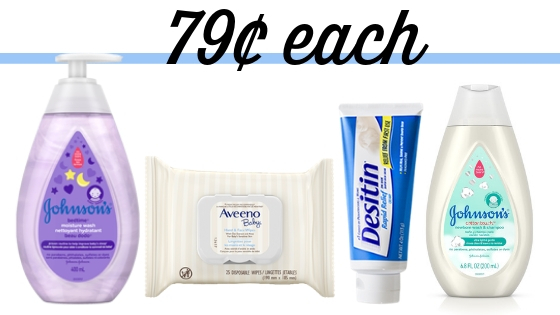 Home > Baby Deals > New $2 off Johnson’s Baby Care = 79¢ each at CVS! New $2 off Johnson’s Baby Care = 79¢ each at CVS! Grab a new printable coupon out today and head to CVS this week to get all your favorite baby care items super cheap! All week CVS has Johnson’s, Aveeno, and Desitin products on sale Buy One Get One 50% off, plus when you buy $20 worth after the sale you’ll get a $10 ExtraCare Buck back! Tip: The cheaper items will be the half price items, so try to either follow my plan below or grab similarly priced items. Here’s my plan to grab 4 items for only $3.17 after coupons and rewards! Makes it: $3.17 for everything or 79¢ each!